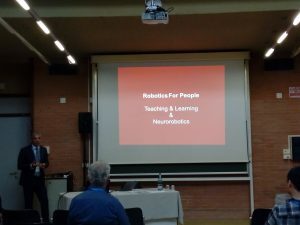 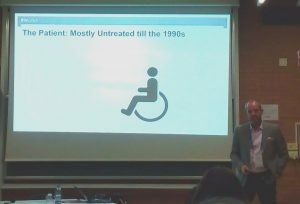 The first Conference of the European project INBOTS took place in the Italian city of Pisa between October 16th and 18th, held in parallel to the 4th International Conference on NeuroRehabilitation (ICNR2018) and the International Symposium on Wearable Robotics (WeRob2018). 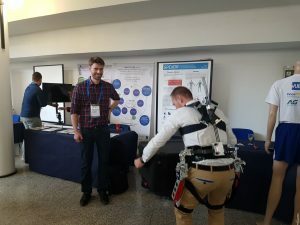 The event brought together more than 500 experts and developers from a diverse range of areas of expertise related to robotics development and summed 380 submitted abstracts. 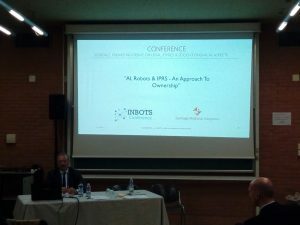 The INBOTS Conference was structured into six sessions according to the six areas of expertise in which INBOTS works. 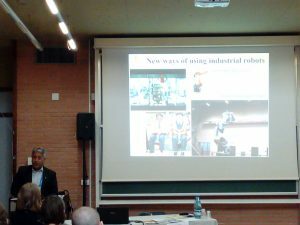 These sessions allowed the participants to be part of the search for solutions to the various challenges proposed by INBOTS, in addition to serving to highlight the work already done by companies, universities and other institutions for the growth of the sector, the development of responsible research and innovation and the acceptance of robotics by end users, such as the work done by IUVO, PAL Robotics or the University of Siena developing new robotic solutions adapted to end users, the University of Padua and Cardiff in education programs; as well as the importance of continuing to work to develop standardization and certification programs that facilitate the commercialization of robotic solutions. 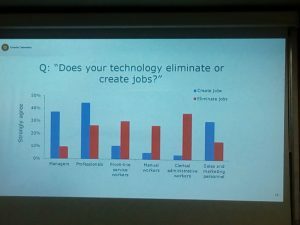 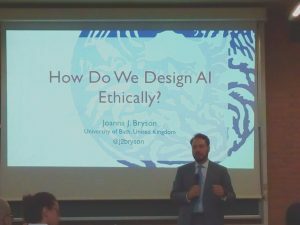 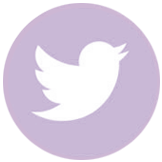 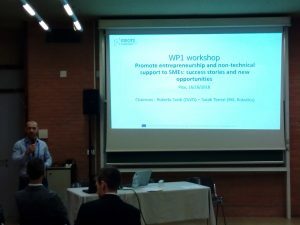 Similarly, work was presented to create support programs for entrepreneurs and startups in their early stages, and those that promote responsible regulation and legislation that takes into account all ethical issues affecting robotics. 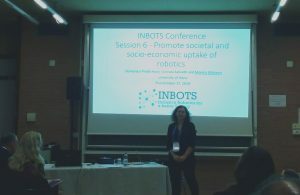 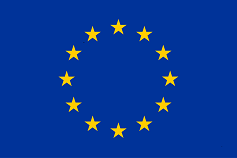 With all the progress made during these sessions, the INBOTS work team will be able to continue working on the so-called “white papers” that will support the European Commission in taking decisions for an adequate legislation, regulation and promotion of interactive robotics in Europe, creating a framework that integrates all the actors involved in this process and guaranteeing the safety and protection of the interests of all. 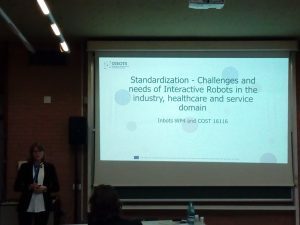 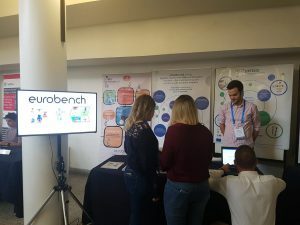 It was a great opportunity to allow non-technical experts to be in contact with the technologies developed in the field thanks to the exhibitions programmed, as well as to bring to developers and researchers the expectative and fears that regulators and the general public face with the introduction of interactive robotics in the daily life.